What is an electric bike? It is just like a regular bike, only a whole lot more fun! 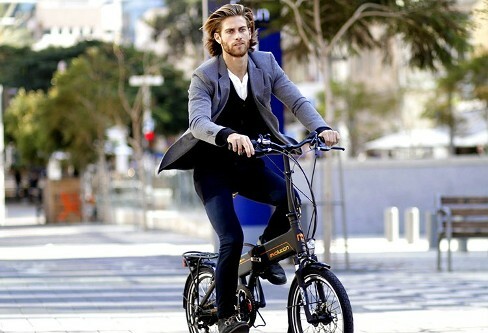 The rider can either use it manually like a regular bike, or turn on the motor for more power. What are the benefits of an e-bike? Anything you ever knew about riding a bicycle will be changed the instant you get on your new e-bike. Whenever you get on to your new e-bike, you will experience something you have never before experienced; remember the joy you felt when going down a hill on your traditional bicycle? The wind in your hair, being able to rest your feet on the pedals until you hit the bottom of the hill. Well riding an e-bike will give you that similar feeling, only all the time. The e-bike has a motor that kicks in to assist you as you are pedaling; a motor that is easy to maintain, quiet and smooth running. Electric bikes can operate in two methods—the first method of operation is the Power Assist (PAS), this method is when the motor comes on and connects the instant you start to pedal. The second method an e-bike operates is Power on Demand (POD); this is when the handle throttle controls the motor, similar to that of a moped. How far can I ride my e-bike on a single charge? You will need to calculate the watt-hours that your e-bike’s battery has in order to answer this question. The “watt hours” is how you calculate how much energy your e-bike’s battery back holds in order to know exactly what the range is you may travel at one time before needing a new charge. The way to figure your watt-hours is to multiply the voltage by the amp hours (Ah). For instance, a 36-volt, 10 ah battery has 360-watt hours. If you are thrifty with your energy usage, you can go about 20 miles for every what hour, which means a 360 watt power pack will let you travel 18 hours. The range also is dependent upon where and how you ride your e- bike. When shopping for an e-bike, there are three important features to think about: the watt-hours the e-bike potentially has as far as the range; the cost of the e-bike; and the weight of the bike. If you want better performance from your e-bike, you are better off to buy a battery that has a name brand, these will last longer and require fewer charges than a battery that was made in China with a generic name. The only downside to this is that for a battery pack with name brand cells will be slightly higher in price. One way to test your e-bike salesman is to ask him or her the brand and chemistry type that is in the cell pack; if he or she cannot answer your questions, seek the answer elsewhere, or do your own research on the subject. Once you find the e-bike that fits your range and other needs, you are going to ask yourself why you didn’t buy an e-bike sooner.